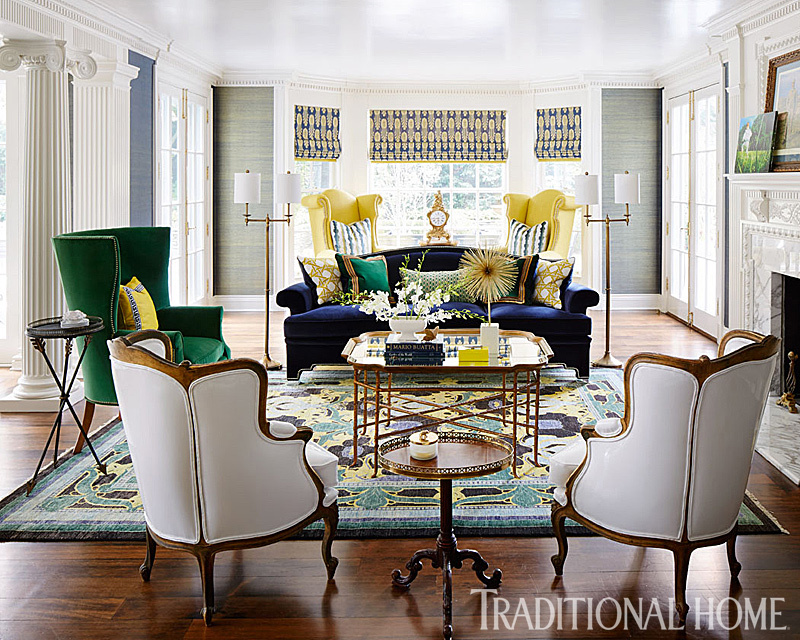 Bold design in every aspect from vibrant color and pattern to custom furnishings describes this 1939 Colonial Revival Detroit home and I promise it will move you out from your comfortable neutrals to desiring a spark of color to your interiors. 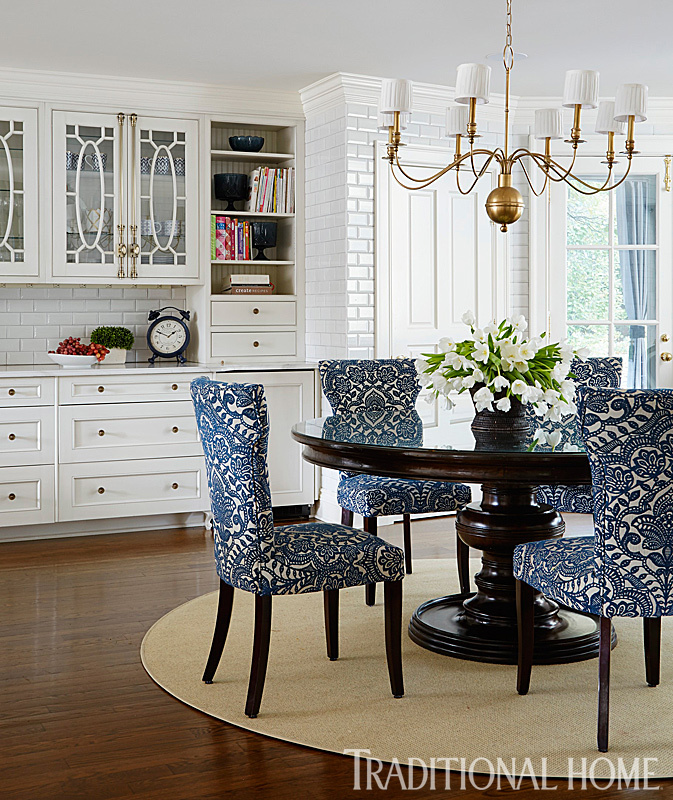 A gentle mix of traditional and modern elements executed with expertise stopped me in my designer tracks to pause and take deeper study of this work of art, a true jewel designed by Corey Damen Jenkins & Associates, LLC. 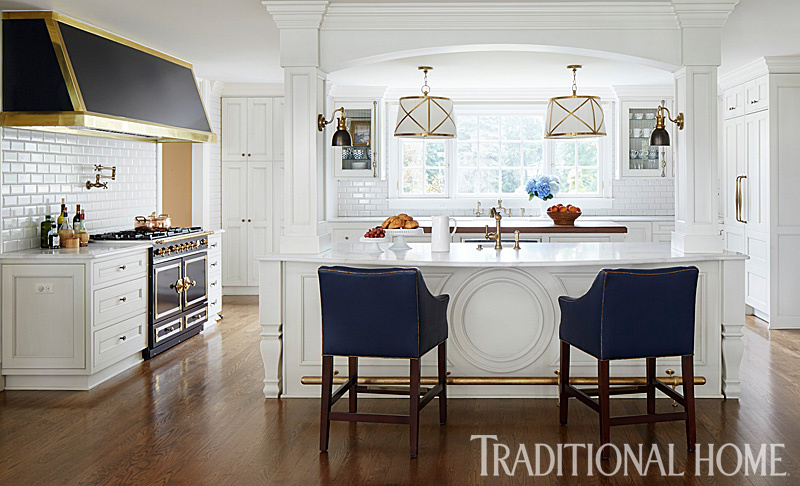 This historic home was transformed for a young family. 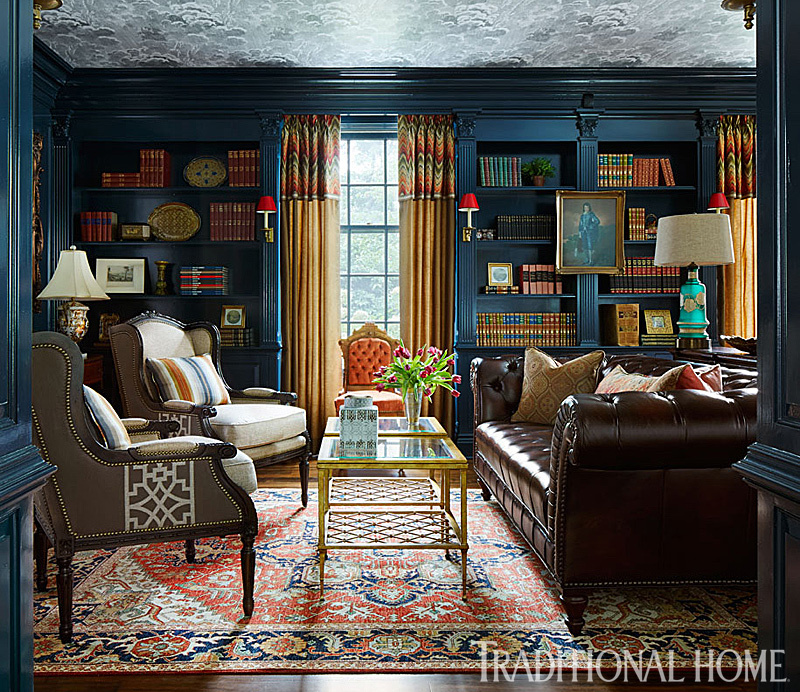 The designer took his cue from the homeowners love for color, pattern and a desire for an easygoing lifestyle within the home. This casual, elegant approach to design is reflected in the open, livable spaces with perfect scaling of furnishings in every room. Custom treatments showcased in wallcoverings, textiles, art, furnishings and flooring create a breath-taking flow throughout the home. 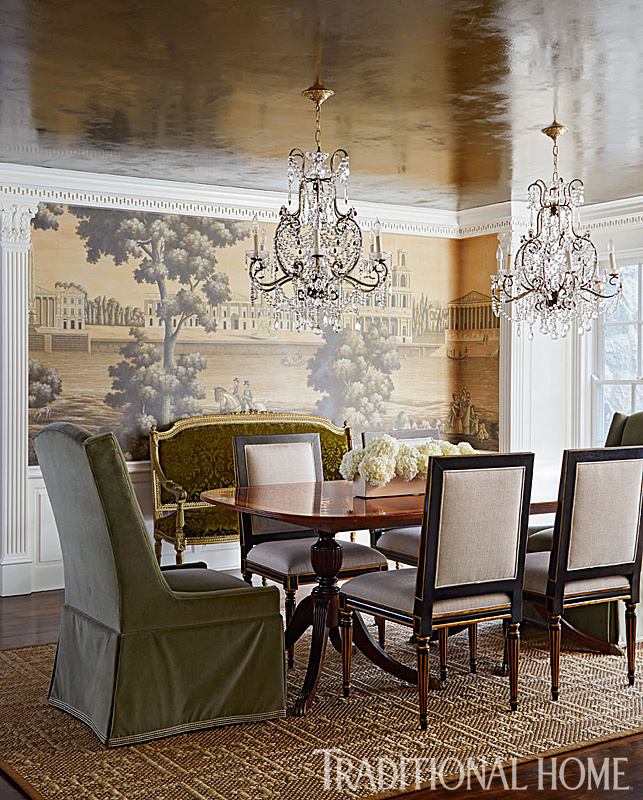 The luxe de Gournay mural in the dining room is topped off with a gorgeous 11-step lacquered Venetian plaster ceiling that leaves you speechless, understated luxury at its best. The midnight blue and white custom prochef kitchen anchored by a La Cornue range says it all by bringing the home full circle with this high-end touch. Perfect for intimate family gatherings and meals to entertaining guests with its open floor plan and custom cabinetry. The tile detail flows beyond the traditional backsplash to extended wall sections which offers a great custom touch to the design of the kitchen. I love every aspect of this bold design project! To view the entire gallery of images please visit Stylish Update for a Historic Detroit Home at Traditional Home.